Staff Photographer Chaz Miley was in Tampa during Tampa Pro week while most of the #BoardrBoys where in Australia running the Vans Park Series down there. He's got a few photos from the Contest and people stopping by The Boardr HQ. Why is Skateboarding Contest Participation on the Decline? Ever since I started working in the skateboarding industry, I've wondered if "real" skateboarding is growing or shrinking. The data out there isn't all that great, so all I've ever had to go on was my own when I formerly worked for Skatepark of Tampa prior to 2013. SPoT continues to do all the same things they've done, including their all ages contests. At The Boardr, we do similar ones on the Grind for Life Series, but they're spread all over Florida. Wow, that was some damn good skating as it has always been. It was nice being a spectator again enjoying watching Tampa Pro and not in frantic workhorse mode. HiDefJoe and I did just a bit of work at the end though and got two videos for you, Luan winning it with his extended superhuman run and The Boardr Team Rider Felipe Gustavo making that Street League cut along with Kelvin Hoefler. Congrats all ya'll. HiDefJoe and all of us at The Boardr watched Tampa Am in our hometown this weekend. It was nice to watch without having any work to do. Joe did point his lens a bit, though. Check out some of the ripping skateboarding that went down and how Jagger ended up winning it. Congrats again, Jagger! Damnnnn, Jereme! Would the fakie flip have done it? Check his third run in the Finals at Tampa Am 2014 here. We could not be more hyped on Jereme repping for Tampa and The Boardr this weekend. Matt Berger's ripping skateboarding in his third run sealed the deal for him getting first place in Phoenix Am 2014. Here's how it was done, wrapping it up with a backside 180 fakie 5-0 on the hubba. Damn, Matt! Porpe and I are both unloading our cameras that are filled with day and nightlife from the contest this weekend. It was nice to be around as a spectator instead of overworked madmen for the first time. Friend of The Boardr, Stephen Oliveira, sent over a nice photo set from Tampa Pro this weekend. I like his angle of covering it. HiDefJoe has Brad Cromer, Evan Smith, Jake Donnelly, Zered Bassett, Mark Suciu, Felipe Gustavo, new pro Trevor Colden, Chris Troy, David Gonzalez, Chaz Ortiz, Stefan Janoski, Kevin Romar, Justin Brock, Silas Baxter-Neal, Wes Kremer, Louie Lopez, Chris Cole, Brian Anderson, Ben Raybourn, Curren Caples, Nyjah Hyston, and Ishod Wair at Tampa Pro on Saturday, wrapping up with Ishod blowing some bile all over the course. Porpe is your host. HiDefJoe has some raw footage from Tampa Pro today. These four ripping skateboarders have something in common. 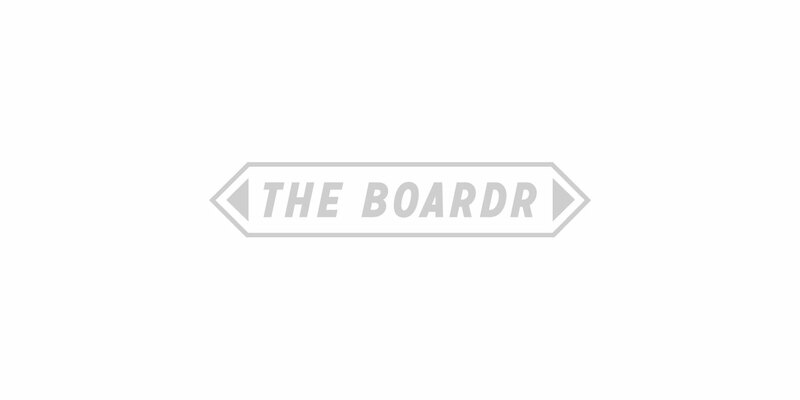 First commenter here on our YouTube channel will get a box from us here that includes The Boardr t-shirt and some other goodies. Here's a hint: it has to do with the business side of skateboarding. Last night was all about Ishod Wair. Good thing I have these photos to remember what went down. Our sister company, SPoT Productions, which owns the Damn Am Series, has a crew out in Tehachapi running Damn Am Woodward West again this year. The Qualifiers have already wrapped up with the Semi-Finals and Finals going on today. I think it's going to be a Dylan Williams win again. Ride Channel has the recap from practice and the first day on site. Sunday in South Africa was a packed day of ripping skateboarding combined with a tourist mission in the city and the bush. I've got a few photos for you, a cell phone edit, and Clem and Porpe's Saturday episode of Build Skateboarding for our friends at CA PROductions. Our friends at Nike SB China have a contest series of ams and pros called City Jam. They have us out here each year to help with running the Finals for both the pro and the am portion. They take the winner from each one and get them a trip to Tampa Am. Before we had to get to work, we got to spend a whole day just checking out the city and other random tourist stuff. I've also got a cell phone edit as I pointed my phone in your face for the entire trip. Thanks to Nike SB for having us in China to help run their amazing event. Last night, my wife Brittany and I flew to LA. After a late night landing and amazing airport pick-up by our friend Lanna with a beer and non-cocktail ready in the car for a pregnant Brittany, we went straight to bed to prepare for an early day of what I guess is work even though I don't have a job right now. Work being high fiving everyone, talking general bid'niss, figuring out my plans, sorting through opportunities, and just watching some skateboarding. When we were'nt skating or watching skating it was couples lurk through LA random spots. I've got a few photos from the weekend on site at Street League and the X Games, plus a cell phone edit from the whole thing.